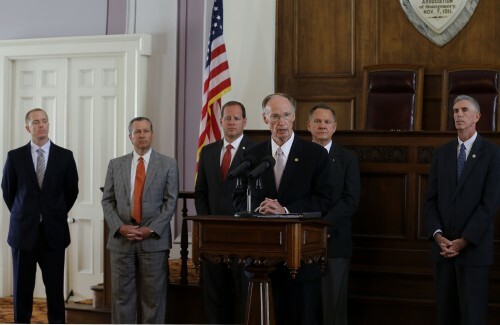 On June 10, 2014, Governor Robert Bentley, surrounded by Sen. Cam Ward, Commissioner Kim Thomas, Chief Justice Roy Moore and others, announced the formation of Alabama’s 25-member Prison Reform Task Force and a partnership with the Council of State Governments (CSG), to address longstanding and nationally publicized issues that affect Alabama’s prison system. According to Gov. Bentley, the solution to Alabama’s prison woes, which include a nation-leading 200% occupancy rate that has led to extreme overcrowding, excessive violence including 4 murders in 2014 already at St. Clair prison, least-in-the-nation investments in education, rehabilitation and corrections, high recidivism, widespread diseases like Staph, TB, STD’S, Hepatitis, scabies, and others, over-targeting of Black men (Black men make up only 14% of Alabama’s total population, but 62% of the prison population) and understaffing, among other issues, can be found in the CSG’s Justice Reinvestment Initiative (JRI). This National Report highlights some of the very issues that are already plaguing Governor Bentley and Sen. Ward from the start: misdirected focus on “costs” as opposed to corrections, lack of racial and demographic diversity from the communities and leaders most affected by mass incarceration, and failing to acknowledge the racial equation that is so evident in Alabama’s (and the Nation’s) criminal justice system. Ray says that “throughout Governor Bentley’s speech, not once do we hear the words Education, Rehabilitation or Re-Entry Preparedness. It is these structural deficiencies that are driving mass-incarceration in the first place, along with poverty and unemployment. But, we can’t expect to have that discussion when the PRFT and the CSG board more so resemble a Ku Klux Klan rally than it does the racial balance of the State, or the communities that fuel mass incarceration. The people most affected by mass incarceration — the African American community — needs a seat at the table also. 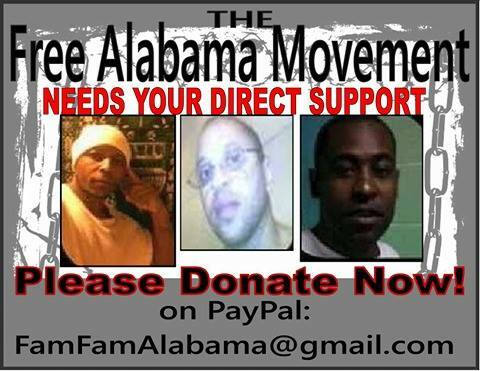 FREE ALABAMA MOVEMENT CO-FOUNDER Robert Earl Council said that the legislation that will address these concerns has already been written in their “FREEDOM BILL.” Mr. Council says that without a focus on education and rehabilitation that includes re-entry programs, the African American community can stay prepared for more of the same. Despite the fact that the JRI has been implemented in over 28 states, Sen. Ward can only point to Texas as a State that he says the JRI has improved. Yet, the Report belies Sen. Wart’s comments, and show that Texas’ “prison population went from 171,790 in 2007 up to 173,648 in 2010, then down slightly to 172,224 in 2011.” (p. 6) In the last several years, Texas’s prison population has risen from 171,790 at the end of 2007 to 172,224 at the end of 2011, and is projected to increase further. The JRI trumpets Texas’s “success,” and the Texas reforms were a success in one sense: Texas is one of our toughest-on-crime states, so any progress on criminal justice reform is an accomplishment. However, if the metric is reduced to corrections populations and costs, the Texas JRI program must be viewed as a failure. The 25-member PRTF has 20 white men, 3 white women, 2 African American women, and 0 African American men. African American men only make up 13% of Alabama’s total population, there are 16,861 African American men in Alabama prisons, who constitute 63% of the total prison population. Based on these statistics alone, Mr. Ray says that the total exclusion of African American men from the PRTF is totally unacceptable, indefensible, and indicative of the systemic racial barriers and white supremacist ideology that continues to exist in Alabama. When Sen. Ward was confronted with this lack of racial inclusion, despite the enacting law (SJR 20 calling for racial inclusion, Sen. Ward said that he is more concerned with diversity of thought than diverse representation. Rep. Barbara Boyd D-Anniston, who is one of the two female African American’s on the PRTF along with Sen. Vivian Figures, D, Mobile, stated in a discussion with F.A.M. 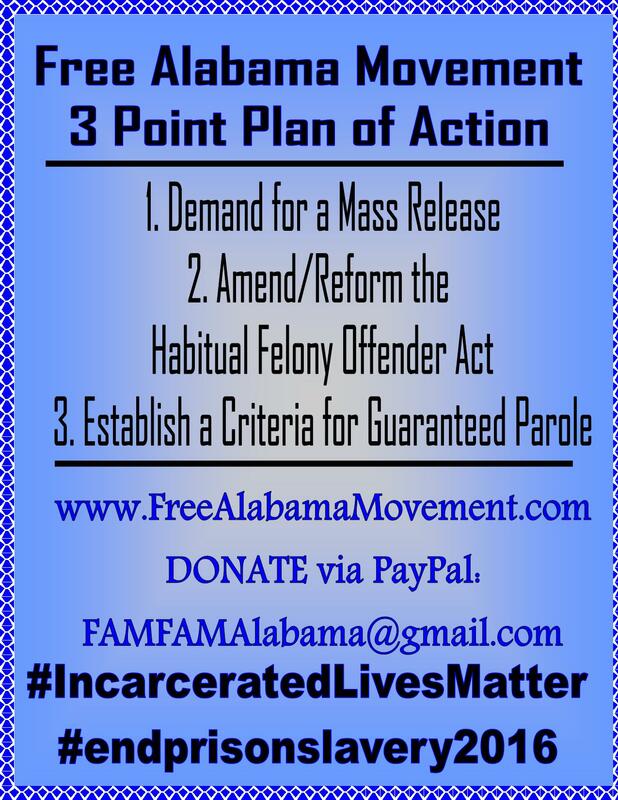 on July 15, 2014, (FREE ALABAMA MOVEMENT has over 200 supporters from Rep. Boyd’s district), Alabama already had a prison reform task force that was spearheaded by Rep. John Rogers D- Jefferson (an African American and long-time proponent of prison reform in Alabama) and didn’t need another one. Instead, according to Rep. Boyd, what Rep. Rogers needed, but couldn’t get, was support, funding and a commitment from the power establishment and Alabama Legislature to implement suggested reforms. Ms. Brooks stated that F.A.M. has a March planned on the State Capitol next month (August 2014) and that she looks forward to an opportunity to one day sit down with Sen. Figures and Rep. Boyd to hear from them on their appointments and to present them with the “FREEDOM BILL” that is being pushed by FREE ALABAMA MOVEMENT. 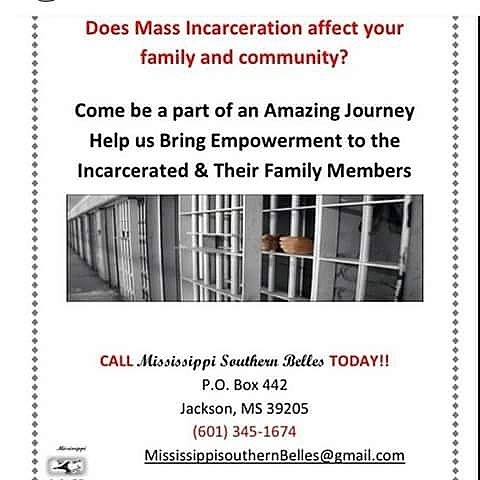 With over 1.4 million black men in America’s prisons and, as stated by noted author Michelle Alexander, with more Black men under the control of the CJS in 2014 than were enslaved BEFORE the Civil War, Prison Reform in Alabama must address specific issues – – including racism – – that have contributed to mass incarceration, crime, and punishment. Mandatory GED completion and graduation from a technical school are things that F.A.M. says must be made mandatory in sentencing for anyone serving a split sentence, earning good time, or who hopes to earn an early parole or be placed in an honor camp or work release program (Requirements that are currently lacking in Alabama). Mentoring programs, community volunteer work in sports, arts, and music, and developing Tutoring programs, Gang Intervention and Leadership Programs, and volunteer assistance to elderly, like mowing lawns, etc., which would start at community “Honor camps,” are programs being pushed by the Freedom Bills that F.A.M. says must be included in any Prison Reform if the ills of mass-incarceration are to be seriously addressed. 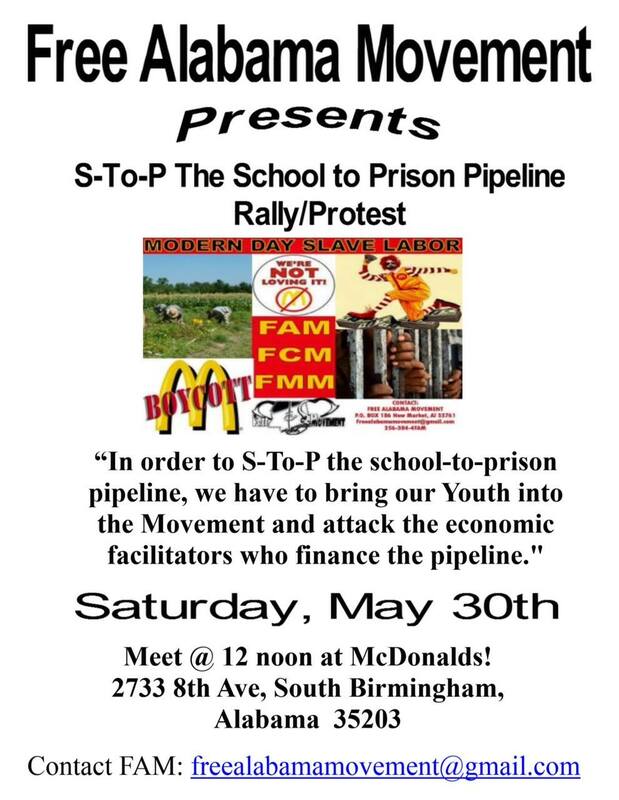 This entry was posted in Alabama, Free Alabama Movement (FAM), Mass Incarceration and Prison Slavery and tagged ADOC, Alabama, Free Alabama Movement, Freedom Bill, Governor Robert Bentley, Justice Reinvestment Initiative (JRI), Prison Reform Task Force, racism, Sen. Cam Ward. Bookmark the permalink. How will we ever get these white people from controlling everything over black people. 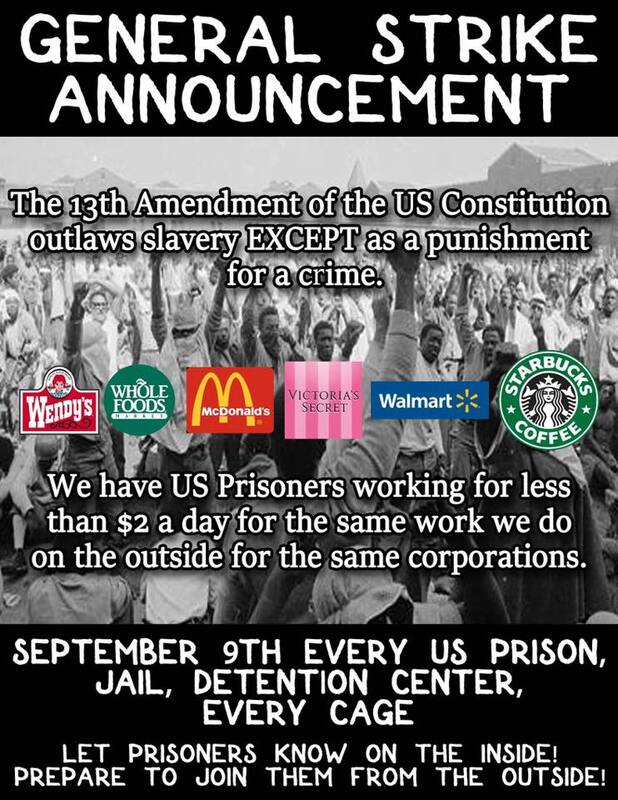 Most prisons, do not have black wardens. The system of racism put and keep the prison filled with black men as they white wardens watches over them. If there ever was a system that is corrupt, and racist, here you have it. Their racism hinders them from seeing, one day all this will be over. 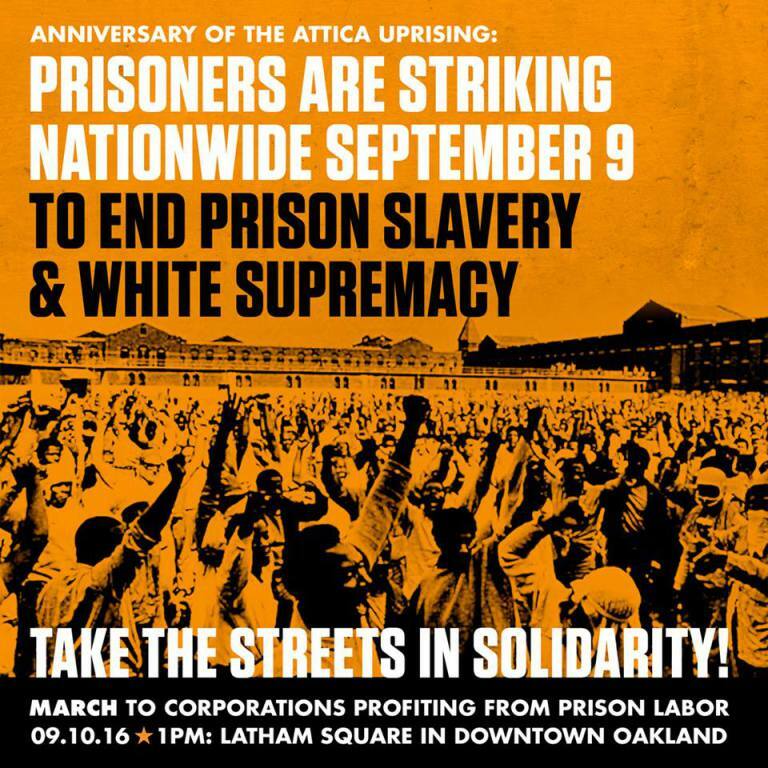 How can a racist system that taught these blacks to be violent, then turn around and imprison them. These racist have no conscious of their evilness.